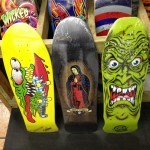 Creature Gives 'em hell, Fallen rises, VANS teams up with the Beatles, and much more!! Creature Gives ’em hell, Fallen rises, VANS teams up with the Beatles, and much more!! Hey there everybody! I hope you’re excited about this week’s update, because I know I am! 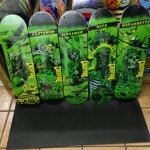 This week we got in some great new Creature decks (including the spectacular Give ‘Em Hell series), as well as some decks in varying shapes and sizes from Santa Cruz, and the Lance Mountain Brigadier deck from Flip. 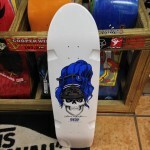 We also got in some all new Fallen footwear, a bunch of wheels, some cool Vans, and more! 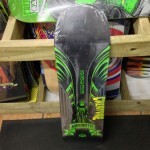 We’ve got all you need to keep Thrashin’ and we’ll show you how it’s done! So, whatever it is you wish you could do, we’ve got you covered! All new Independent trucks with Titanium Axle and Forged baseplate! Lighter and Stronger! 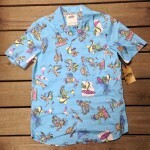 Available in sizes 139, 149, and 159! Ride the best! We just got in some great new shoes from Fallen! This one is the Forte. The Torch is James Hardy’s signature shoe. It has a slim profile with a lo profile cup sole for maximum impact protection and durability. The Easy, which is Brian “Slash” Hansen’s signature shoe, offers a casual style with a vulcanized sole for maximum board feel. The vibe from Fallen is Tommy Sandoval’s signature shoe. 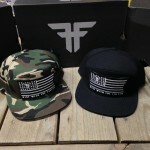 These new Fallen hats are just what you need to make sure that your shredding goes on un hindered by the sun in your eyes or your hair in your face! This Vans shirt is made for having a good time. Whether it be at your best friends surprise birthday bash, or a Wrestlemania pizza party with the guys, this is the shirt for you! 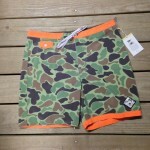 Vans and Joel Tudor bring you the Trim Line 18″ board short. Great colors on this one! 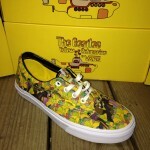 Get on the Yellow submarine with this great Vans and Beatles collab ERA! 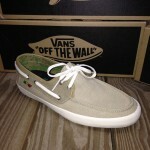 The Chauffer from Vans in a Khaki and Rasta color! These shoes are terrific because the inside of them is like a sandal, so you can use them without socks! 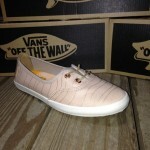 For the ladies out there, Vans brings you the Solana! Here’s a great one for the little ones, featuring velcro technology! It looks like a normal shoe, but that front part is actually velcro! Kids love checkerboard designs too! 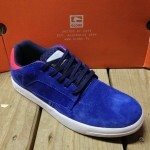 The Globe Delta in an all new Blue color way. 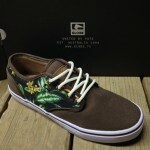 The Globe Motley comes in with a bit of that Hawaiian print flair in this latest color way. You could always use a new hat. 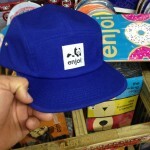 This one from enjoy is simple yet elegant. 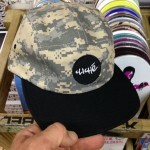 Here we have a nice looking Cliche’ 5 panel with some digi camo flair! 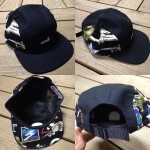 There’s a great attention to detail on this hat from Cliche’ making it a great choice to rest on your noggin during your Saturday skate sesh! Made in USA! Here’s some bowl shredding for you to check out, dad cam style!